Even though Christmas is over, the Holiday Season is still in full swing, and with New Year's Eve coming up, I thought now would be a good time to talk tipping. Belly dance and tipping have been thought of together almost as much as peanut butter and jelly, and there are many traditions connected with tipping. It is believed that the reason for coins on belly dance costumes stems from days of yore, when women would dance in public and receive coins from spectators which were later sewn onto their clothing, possibly as part of a marriage dowry. Descriptions of this practice are documented in writing from travelers who visited the Middle East during the 17th, 19th and 19th centuries. Early 20th century photographs of the North African Ouled Nail tribe document the women wearing elaborate coin headdresses above gowns bedecked in coin decorations. Known for their dancing (as well as prostitution) the images of the Ouled Nail still fascinate viewers, and their dress has also influenced modern belly dance costuming. Tipping dancers at weddings is traditional in many cultures, and though the tips are showered upon the dancer, they often signify good luck and prosperity for the happy couple. Contrary to popular belief, the practice of in-costume tipping seems to have originated in American nightclubs, during the latter half of the 20th century. In the Middle East, tipping a well-known dancer during a show at a better hotel is usually not done, and as far as I have seen, in Egypt, there is no custom of in-costume or body tipping there either. However, showering a dancer with money seems to be fairly commonplace at street weddings. When a dancer is working with musicians and singers and tips are littering the stage, the tips are usually divided in a three-way split: the dancer gets a third, the band gets a third and the last portion goes to the house. 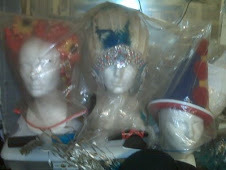 I’ve worked at some places where the tips placed into a dancers’ costume were hers to keep, and the rest were divided between all the performers and the house. Tipping is still a popular practice at belly dance shows, not just for monetary reasons but because the very act of tipping is a way for audiences to relate to the dancer, as well as show appreciation for her skills. There are several ways to tip dancers, and they vary according to the venue, local laws, the ethnicity or culture of the patron, or the individual dancer’s preference. Though tips have always a large part of a working dancer’s income, some performers have a rather uneasy relationship with tipping. Sometimes this is because they associate accepting tips with strippers or gentleman’s clubs, but more often than not it’s because they are uncomfortable accepting tips tucked into their costumes. In-costume tipping is what most non- Arab audiences think of as the “standard” way to tip dancers, and it can definitely be done in a respectable fashion. Usually, the most suitable location for a tip is tucked into the side of the dancer’s belt, although many dancers accept tips in the straps of their costumes. In general, tipping in intimate areas, such the front or rear center of the dancers belt, her cleavage or the cups of her bra is considered to be an invasion of personal space. If someone is attempting to tip you in an area you are not comfortable with, just stay a little out of out of his or her reach, and when you come in to accept the tip, offer your hip instead. This little dodge usually works well-most people don’t want to be disrespectful, they’re simply excited about the interaction. Some dancers refer to in-costume tipping as “body tipping”, but in my opinion, body tipping is a completely separate cultural practice. This style of tipping is very popular among Greeks, Turks and Armenians and Israelis- but isn’t limited to people from those countries. Body tips seem to occur most often in mid-set, when the dancer is getting a little sweaty, because the tip is typically pressed or lightly tapped onto the center of the dancer’ forehead…though I’ve received similar body tips on my abdomen and arms. Tipping dancers on the forehead is a custom, dating back to Ottoman Turkey. The young female impersonators known as kochek dancers received their tips this way, only in those days, the tips were coins, not bills! In Turkish Romany (gypsy) dances the dancer will often tap their forehead, and this gesture is understood to be a request for tip. Money showers are an extravagant display as well as a way of tipping the dancer without actually touching her. Often, at Arabic restaurants and nightclubs, a waiter or a shill planted in the audience will start the money showers to get the crowd going. Then, the patrons will continue, by taking a handful of money and “ raining” it down over the dancer’s head, flipping the bills down one by one, while she is performing. 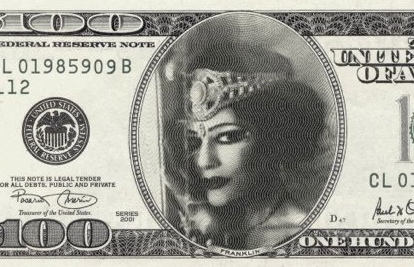 Many Arabic nightclubs keep stacks of crisp dollar bills on hand for the purpose of money showers. When a customer wants to tip the dancer, a singer or the band, they’ll hand the waiter the amount they wish to tip, or have it added onto their bill. The waiter steps up to the stage tip the performers, throws a few bills into the air, then palms the rest of the bills in a fluttering "shower", raining over the dancers head, then indicating where the money came from with a sweeping gesture. In Los Angeles, at the Arab clubs where I worked in the mid-90, there were so many Saudis giving money to the waiters to throw on the stage that dancing actually became risky- it was like ice-skating on money! In the lower class cabarets of Cairo, I’ve noticed that there is almost always a stagehand whose sole job is to sweep up the tips from the stage and dance floor before depositing them into a locked box that is kept on the stage. If you receive a money shower at a wedding or a private party, often a family member will pick up your tips and get them to you after your show. Children seem to love this job, and will feel special collecting your tips from the floor and delivering them to you, so if there is nobody around to pick up after you, it is a good idea to pre-arrange the duty with a couple of kids. This type of tipping is frequently seen at outdoor festivals, Renaissance Faires and street performances, but many dance troupes performing at indoor venues use this practice to good advantage. When dancing in a group situation, it’s difficult to accept tips during choreographies, so near the end of a set, many dancers leave their performance space to “pass the hat” among the crowd. Often, this is done to music and may include audience-participation dancing as well. A showy and creative way to do this without seeming like the dancers are begging is to have a couple of troupe members or a soloist dance through the crowd with tipping baskets balanced on their headsor carrying tambourines into which the tips are placed. The audience seems to love the novelty and will happily part with cash…because it’s part of the show. Though this doesn’t happen too often, once in a while venues will have a large, visible tip jar set out for the dancers, either because the dancing is done on a raised stage, or in order to keep up a “family friendly” atmosphere and discourage body-tipping. There are a few situations such as private parties or corporate events where tips are discouraged… but you may wind up getting tipped in the form of a post-show gratuity. Usually, this will be discussed with you in advance so you’ll know what to expect. In cases such as this, the dancer’s gratuity will be either be added onto her pay or handed to her separately in an envelope. Sometimes, whether tipping is condoned or not, audience members take it upon themselves to tip the dancer post-show, either by having a waiter deliver the tip, or by giving it to the dancer themselves. I used to work at a French Arabic club in Los Angeles where tipping the dancers was frowned upon. A regular client came up to me after a show, complimented me on my performance and discreetly handed me a folded bill. I thanked him and put it in my pocket. As I left the club, I transferred the tip to my wallet- and saw that it was a hundred dollar bill! At the many Lebanese and Armenian clubs that were around Los Angeles “back in the day”, people liked to get inventive with the way they tipped- it often became a friendly (and increasingly wild) competition to see which table could come up with the most ingenious way to tip…which of course, was terrific for us dancers. I’d get a lot of bills folded up into shapes like Origami, ( dragons, bow-ties, flowers) but some patrons even brought their own staplers to the clubs! I was constantly draped in stapled-together money necklaces, bracelets, cross-body bandoliers, headbands and belts of money that customers would literally staple around my hips. If ever I took my zills off and set them down during my set, there’d always be dollars slipped through all the elastics! Those people were crazy and rowdy and fun, but always respectful. Tips don’t always come in the form of cash. Some venues feel it’s “low class” for their customers to be handling cash, flinging money at the stage or tucking bills into a dancer’s costume. I often worked at a Greek club in Hollywood where they had a flower lady who sold customers baskets of carnations to throw at the stage. The club would keep track of how many baskets were sold during each dancer’s show, and at the end of the night the band and the dancers would split the monetary equivalent of the flower baskets that had been sold. It was always good money, but I hated feeling the carnations squishing under my bare feet! There are also audience members who just get carried away in the moment, and leave quite unusual tips. Once in Switzerland, a woman tipped me a gorgeous antique ring right off her finger. I tried to give it back after the show and she wouldn’t let me. I have received numerous bouquets of flowers sent to my dressing room or the venue where I was appearing. I’ve also gotten tickets to events, retail gift cards, and currency from foreign lands. And of course, what working dancer hasn’t gotten a business card with “call me” furtively scrawled on it…can’t blame a guy for trying, right? The most extravagant tip I’ve ever received was from a regular at a Los Angeles club where I used to perform. After my show, he handed me an expensive-looking leather jewelry box. I politely refused it, explaining I had a boyfriend and wasn’t interested in a relationship, but he insisted over and over that I keep it, so I thanked him politely and left. At home, I opened the box and inside was pair of solid 22-karat gold earrings, with a lotus at the earlobe, and large dangling sphinx heads! Over the years, I learned how to master the art of crowd control. Before I started dancing professionally, I avidly watched many seasoned dancers working. I studied the way they handled crowds, watched their interactions with their audiences, the way they accepted tips and the way they handled rowdy customers. I noticed that the dancers never picked up their tips from the floor, and learned that it was considered a big, tacky faux pas to do so! Most clubs and restaurants have a system in place where an employee, such as the manager or a waiter, will pick up the dancer’s tips and bring them to her dressing room after the show. If tips fall from your costume and a customer notices, they’ll sometimes let you know. In this case, I either assure them the waiter will get it for me or ask if they wouldn’t mind retrieving it. Dancers always appreciate a lively, demonstrative crowd, and it’s our job to get the audience riled up and festive. Don’t be afraid to make direct eye contact with your audience members- it’s the surest way to make them feel connected to you- and to get them to tip you! By using gestures alone, you can have the entire crowd clapping along to the music, or get them to be silent during a quiet part of your set. If you want to break the ice with a tough crowd, the best way to do it is to call a child up to dance with you- they’ll almost always jump at the chance, it’s cute and people love a good photo op. If there are no kids around, select a pretty, vivacious-looking woman, and pretty soon her friends will join in. If someone you’ve gotten up to dance overstays their welcome, just “present” them to the crowd, and get them all to applaud- everyone will understand the idea that their dancin’ machine friend is now taking a bow, and should return to their seat. Once in a while, things can get a little out of hand, especially if the venue serves alcohol. If anyone does anything during your show that’s pushing your personal boundaries, interfering with your comfort-zone, being disruptive or seems dangerously intoxicated, either enlist the service of the nearest waiter or remove yourself from the situation right away and report it to the management! Inevitably, you’ll encounter some show off that’ll offer you a tip… held in his teeth. I’ve found that the best way to handle this is with humor and pantomime. I’ll either pat the guy on the head as though he was a dog with a bone in his mouth, or gaze directly at another member of his party, point at the offender and pull a comical face that silently asks “What’s he doing?” Usually, someone will make him stop- or they’ll grab the money and tip you properly! Many audiences are unsure of tipping protocol, and don't want to offend the dancer or do something impolite. There are a few discreet ways to let them know that tipping is OK. Often, dancers will seed their belts with hidden a bill or two (which can be prudently revealed mid-set) giving the audience the idea that tipping is acceptable. Another way to do this is to have the servers help you out before you go on by courteously asking patrons if anyone needs change to tip the dancer. Whenever you get tipped, make sure to thank the person who tipped you, either verbally or with a nod of thanks and a smile. Tipping is a way for the audience to tell you how much your performance meant to them. It’s our job as dancers to transport the audience, and by receiving their tips graciously, you can also take satisfaction in knowing that you have done your job… and done it well.